HORNDEAN WAR MEMORIAL, HORNDEAN SQUARE. THE SERVICE WILL START AT APPROXIMATELY 10.40 AM. As always everyone is welcome. So Locally we are being targeted with some fly tipping again with multiple tips around Chalton, Finchdean, Blendworth and other outlying quiet lanes. For reasons I disagree with, we (EHDC or even private land owners), are unable to put up trap cameras at regular fly tip spots as this intrudes on privacy and images collected from such devices are unlawful. Apparently the need to be able to fly tip, pee in a layby or just innocently drive by without our being intruded upon is sacrosanct and a greater good against the cost to society from cleaning up after these scum. So the latest fly tips targeted the track by the railway bridge at Chalton on route to Finchdean, and any information is welcomed. FOR INFORMATION LEADING TO THE IDENTIFICATION OF ANY FLY TIPPER IN THE HORNDEAN AREA WHICH LEADS TO A PROCESUTION, I WILL GIVE £500 TO THE KEY PERSON RESPONSIBLE FOR IDENTIFYING THE CULPRIT. Look Out – There is a Thief About! Over this last weekend (06/10/17 to 10/10/17) there were a number of burglaries across Horndean and Clanfield where homes have been targeted. All the incidents took place in the early hours. Please ensure you lock all doors and windows, side gates are closed and locked if possible. Keep garages secured along with the car(s) inside. Be a good neighbour and keep an eye on your neighbours property. If you see anything suspicious ring 101 for non emergency or 999 for an emergency. You may also ring Crime Stoppers on 0800 555 111 to make a report anonymously. To discuss this or any other policing matter join the local Neighbourhood Policing Team at their next surgery at Horndean Library at the new time of 17:00 to 18:00 every 4 weeks. The next police surgery is on the 27th October and everyone as always is welcome. The South Down Group invite you to a presentation of “The Secrets Of The Solent” including the Wildlife Trust’s new project to conserve marine life. The Local Government Boundary Commission for England has published its draft report and revised boundaries for the District Council which also has some implications for the Parish Council. 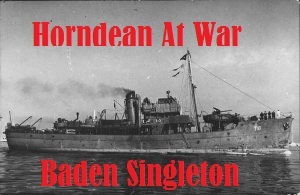 Bizarrely this would see Horndean village centre, the war memorial, Parish offices and areas like Blendworth, Keydell and LEOH transferred to a new Rowlands Castle ward. A consultation period has started and anyone wishing to comment has until the 11th December 2017 to give their views. The commission is an independent body reporting to Parliament and recommends how many Councillors are needed, the number of wards, their boundaries and the number of councillors in each. 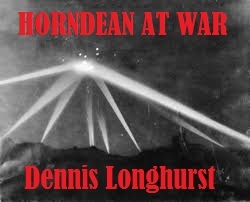 The Commission have come to this conclusion feeling that the A3M is a particularly strong boundary rather than a sense of community and as a result the Horndean war memorial and Horndean village centre would fall under a new larger Rowlands Castle ward. This would include Keydell, Blendworth and the LEOH development which is bringing in significant community assets. The boundary commission in their draft recommendations specifically state they “particularly welcome comments” on this division of Horndean into Rowlands Castle and submissions from residents are particularly welcome. I think they feel it will be a contentious issues they have specifically invited comments on this so please use the consultation links below to give them your thoughts and also please post them as a comment on this blog so everyone can share them. 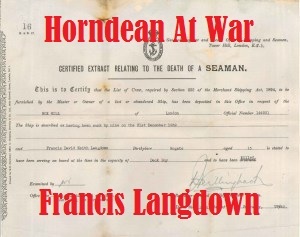 The proposal to divide Horndean village in two with half going to a Rowlands Castle Ward would result in the Horndean village centre, Horndean war memorial and significant part of the Horndean community being represented under the name of an adjacent village. Bizarrely the new Horndean Catherington ward would no longer include the heart of Horndean. The A3M does pass through the village (in the same way that the railway line passes through and divides Rowlands Castle) but the bridges create easy accessibility across all parts of Horndean with residents equally accessing the village, its amenities and other services across the area. If there is a desire to identify a structured boundary then the extensive woodland between the parishes of Horndean and Rowlands Castle provide this with the two communities separated by several kilometres of woodland. The area of Horndean to the East of the A3M, if a separate ward should be known as “Horndean Blendworth” and include the full curtilage of the future LEOH development to the south up to the SDNPA boundary and Havant thicket. This would retain the sense of identity of this community with Horndean and allow Rowlands Castle to retain its unique identity as a separate ward. Click on this link HERE to download the draft report as a PDF file and the sections for Horndean are 52 – 54, 56 – 60. Click on this link HERE to visit the commissions details for EHDC online, view the report and give your views. Please feel free to add a comment on this blog and share your view whether for or against! Since the formation of the South Downs National Park they have been operating under the Local Plans of the District Councils they pass through. This sets where housing, business land etc are allocated. Over the last few years the South Downs National Park Authority have been working on their own local plan and the final consultation on this is underway. The Pre-Submission version of the South Downs Local Plan opens for public consultation from 26 September to 21 November 2017. This will be the last opportunity for the public to comment before it is submitted to the Planning Inspectorate in spring 2018. For us locally the park cuts into Clanfield, Horndean and Rowlands Castle which means our parishes have two different planning authorities with two different local plans running through them. This means that sites which have been previously submitted including ‘Land to the rear of the former Blue Anchor public house’ have been considered by the SDNPA and not East Hants. The park has also been very protective of the main body of the park and we have been concerned that this would result in their housing need being tacked onto adjacent settlements such as ours. This has led to some strong position taking that the EHDC allocated housing to our three parishes applies to the entire area, not just the area inside the EHDC boundary. Many local residents have also been concerned that the land to the North of Chalton Lane would be a convenient place for the SDNPA to dump their housing. This is something we have been vigilant to and made it clear would be unacceptable and fought against. The SDNPA Local Plan allocates 4750 homes across the entire park area compared to EHDC’s 10,000 in the portion of EHDC that does not include the park. Both plans run for approximately 20 years.